The X-Men have faced many dangerous villains in their film franchise, but in 2016, the mutants will face their most powerful enemy yet: Apocalypse. 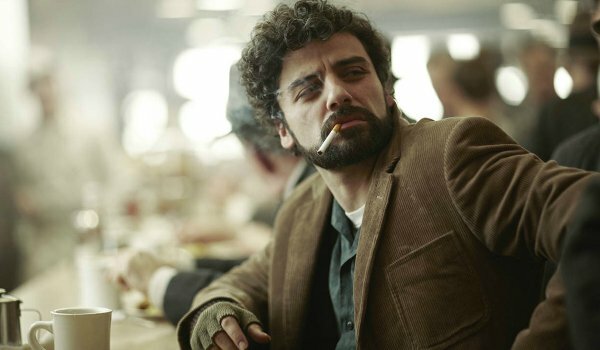 20th Century Fox has chosen Inside Llewyn Davis and Star Wars: The Force Awakens actor Oscar Isaac to bring the iconic mutant to life in X-Men: Apocalypse. Judging from his grasp of the character’s psychology, it sounds like Isaac already has an idea of what he’ll be doing with history’s "first" mutant, but acting is only a small part of playing a role. Okay, it’s a huge part, but when it comes to comic book roles, appearance is also crucial, and it’s especially important that Apocalypse’s look is done right. Fortunately, with the right combination of practical effects and VFX, it will be easy to nail down the terrifying and physically imposing adversary. Obviously Isaac will be hitting the gym to get in shape for the role, but exercise won’t be enough, and no amount of method acting will boost his 5 ’9’’ height. To bring Apocalypse to life, Bryan Singer and the X-Men crew will need to use the same motion-capture technology that Marvel used to turn Mark Ruffalo into The Hulk for the Avengers films. When he clashes with the X-Men in the 1980s, he’ll need to be the seven-foot tall giant that comic book fans are familiar with. Like Ruffalo and Ultron actor James Spader, Isaac will probably wear those dots on his face and wear a motion-capture suit so that his movements and facial expressions can be recorded. From there, they can use CGI and 3-D models to transform Isaac into the gigantic mutant, with the actor’s handsome visage hopefully kept intact, blue lips and grey skin aside. How will the movie explain why Apocalypse gets so huge? Easy, it’s all in the villain's powers. It can’t be stated enough that he is one of the biggest powerhouses in the Marvel universe. He grew up in a time when he was considered a god, and has beaten all of the X-Men singlehandedly on multiple occasions. His primary ability is being able to control the molecules in his body, allowing him to, among other things, regenerate from injuries, adapt to any environment, increase his physical abilities, and most importantly, change his size. This means that there may also be points during the film where he’ll be human-sized, allowing Isaac to simply play those scenes wearing makeup and an intricate costume. For the most part though, when the 1980s mutants face off against their most dangerous for yet, he won’t be a regular-sized humanoid with a hipster beard. He’ll be a looming monstrosity capable of crushing their heads with his bare hands. Think of Apocalypse as the Thanos of the X-Men films. Not only does he have the power and intelligence to wipe the floor with his enemies, he also has the size to make them feel insignificant. That’s a victory by itself.